Maps of the brain are becoming ever more information-rich, thanks to increasing resolution and versatility of brain imaging methods, write scientists Simon Eickhoff and Sarah Genon from the European Human Brain Project (HBP) in Nature Reviews Neuroscience. Maps of the brain are becoming ever more information-rich, thanks to increasing resolution and versatility of brain imaging methods, write scientists Simon Eickhoff and Sarah Genon from the European Human Brain Project (HBP) in Nature Reviews Neuroscience. Together with Thomas Yeo from the University of Singapore they explain how rapid advances in Magnetic Resonance Imaging may help revolutionize our understanding of the brain’s organization and its relation to human behavior. Both researchers contribute to the creation of the HBP Brain Atlas, which integrates vast amounts of neuroscientific data into the most comprehensive model of the brain to date. The human brain is the most complex object we know, with about 86 billion neurons that form intricate networks, areas and interacting regions. For more a century, neuroscientists have created ever more detailed maps of the brain to better comprehend the physical architecture that underlies our thoughts, memories and feelings. “This is so called brain parcellation, the effort of identifying distinct partitions in the brain, to describe how it is organised. It is fundamental for understanding the relation between the brains structure, its normal function, and dysfunction in disease”, says Simon Eickhoff, head of the area of Brain and Behaviour at the Institute of Neuroscience and Medicine at Forschungszentrum Jülich and the Institute of Systems Neuroscience at University Hospital Düsseldorf. In a current article “Imaging-based parcellations of the human brain” for Nature Reviews Neuroscience, Eickhoff and colleagues Sarah Genon and Thomas Yeo review the history of creating maps of the brain, describe how advances in MRI-based neuroimaging are helping to massively accelerate and improve the mapping process today, and highlight new questions arising. “We have looked at the evolution from the first cartography work to recent developments and pointed out current critical issues such as variability between the brains of different people”, says Sarah Genon. 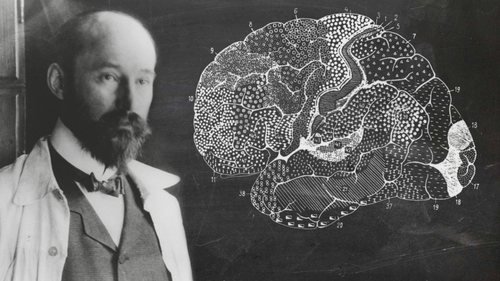 Historically, many individual maps of the brain had been created over the years, most influentially by neuroscientist Korbinian Brodmann, who was born 150 years ago. His pioneering work contributed to the early development of the concept of distinct “brain areas”. In the “Brodmann map”, published in 1909, brain areas were defined by their distinct characteristics in nerve cell distribution. Since then different aspects of brain organization, like gene expression or connectivity, have been described in many different maps, created in often laborious multi-decade efforts. 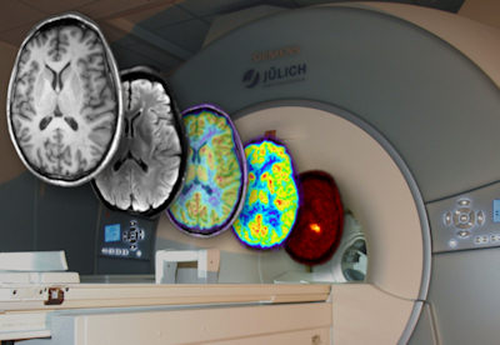 In contrast to the very precise but slow microscopic mapping, Magnetic Resonance Imaging has made it possible to scan brains in fast succession. Different markers can be measured that reflect a variety of aspects of the brains structure and dynamic processes, so that different parcellation patterns can be easily compared. Subjects also can now be measured repeatedly over time to track changes and better understand brain development. Through these complimentary approaches, brain today is being mapped on multiple levels and at increasing pace. In addition, the increasingly high resolution of brain scanners brings MRI-maps closer and closer to the brains microstructure, so that the relations between the smallest building blocks and whole brain structure can be better understood. Still, the rapidly growing amount experimental brain data from neuroscience labs worldwide has created new challenges – and to solve them, neuroscientists are now teaming up with computing experts. In the Human Brain Project, Simon Eickhoff and Sarah Genon contribute to the construction of an ambitious new brain atlas system that runs on a network of European Supercomputers, but can be accessed from the webbrowser by any researcher or clinician worldwide. By integrating data and different maps from all areas of neuroscience the project wants to create an open digital resource, akin to a “Google Maps of the brain” for the brain cartographers of the 21st century. Simon B. Eickhoff, B.T. Thomas Yeo, Sarah Genon: Imaging-based parcellations of the human brain. Nature Reviews Neuroscience, 09 October 2018. Neuroscientist Dr. Sarah Genon explains a new approach to discover “operational functions” of brain areas. About: Genon S, Reid A, Langner R, Amunts K, Eickhoff S (2018) How to Characterize the Function of a Brain Region. Trends in Cognitive Sciences, 2018 Apr;22(4):350-364. doi: 10.1016/j.tics.2018.01.010.